Derived from Sanskrit, the “bandha” means source of prosperity and harmony, located on best beachfront location in Legian. THE BANDHA, a new tropical chic hotel just recently opened on 13th July 2016, is only 25-minute drive from Bali's International airport. 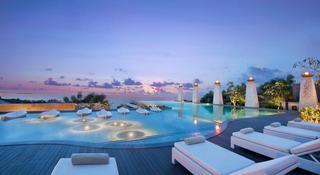 The resort is just a stone-throw to famous Kuta and Legian beaches for witnessing dazzling sunset. 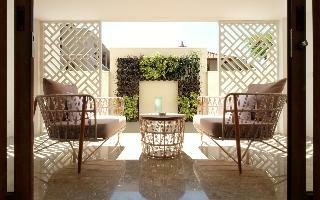 Within a walking distance to reach the lifestyle shops as well as the international bars and restaurants in Legian. 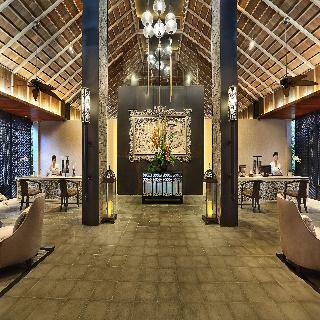 The centerpiece of the hotel lobby is a state-of-the-art feature resembling the modern and magnificent Balinese architectures.THE BANDHA affords a luxury product of its style on a smart location with personalized genuine friendly service by its amicable staff. THE BANDHA is meticulously designed to indulge the mind, body and soul of couples and honeymooners. This stylish luxury boutique resort concept style is achieved with timeless interiors featuring Balinese accents in every rooms and all comforts from home. The property is located right on the sunset beach at Batubelig. The village is surrounded by lush tropical gardens near a temple. Ngurah Rai International Airport is 13 km away and Seminyak, the latest buzz in Bali offering dynamic lifestyle is just 2 km away. Tanah Lot temple is on a 25-kilometre drive. The hotel is located directly in front of Batubelig beach. It is furnished with luxurious, modern style and offers arts and souvenir shops, swimming pool and a spa centre. Fitted in Balinese style, the rooms are air-conditioned and come with an en suite bathroom with hairdryer and bathrobe, and offer wonderful views over the scenery from a private balcony or terrace. Further fittings include satellite/ cable TV, a desk, tea and coffee making facilities. The suites are more spacious and additionally feature a cosy sitting area with a sofa. For an unforgettable vacation in southern Bali, stay at the Radisson Bali Legian Camakila, a Legian Beach resort with 116 hotel rooms and suites designed for optimum comfort. Located in the centre of Legian Village, our resort puts you in the ideal position to surf, sunbathe, shop and dine at some of Bali's most extraordinary restaurants. Leave all your worries behind as you embrace all that this hotel has to offer, from the accommodating spa and modern fitness centre to the on-site hotel shop and delightful on-site dining at Azaa Restaurant.Take advantage of being 30 minutes from Bali's Ngurah Rai International Airport (DPS), 20 minutes from Denpasar business district and within walking distance of popular attractions, such as Kuta and Seminyak beaches, nightlife and shopping. If you enjoy day trips, be sure to carve out time to visit Ubud village, Tanah Lot and Uluwatu. Villa Coco is located in between famous Legian and Seminyak, which is one of Bali's trendiest shop and restaurant districts. 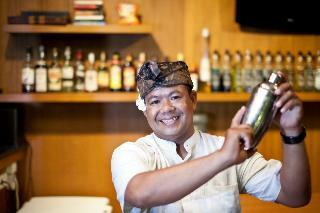 The resort is situated just a 5 minutes' walking distance away from the area's famous Legian and Double Six beach. 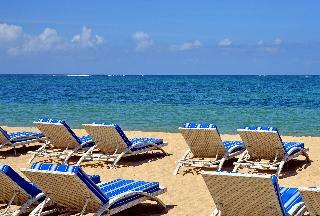 Guests will be pleased by this wonderful setting, which is bathed in the rich culture and natural beauty of the island. Ngurah Rai International Airport is conveniently located just a 25 minutes' driving distance from the resort. 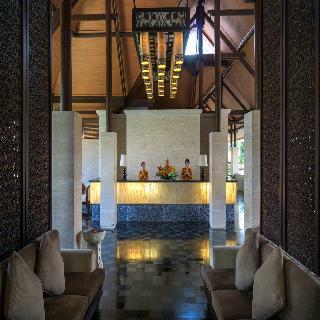 This traditional-style resort enjoys a charming ambience, welcoming guests into a world of exotic beauty and splendour. The accommodation options feature traditional-style thatched roofs, a private outdoor-style garden shower and modern amenities. The resort features 1 swimming pools, as well as a poolside bar.